This is a reminder that our energy problems are just one geopolitical crisis away. Memorial Day weekend kicks off the annual summer driving season, but like a bad movie we have watched several times before, this holiday weekend is waiting to greet us with higher gasoline prices. 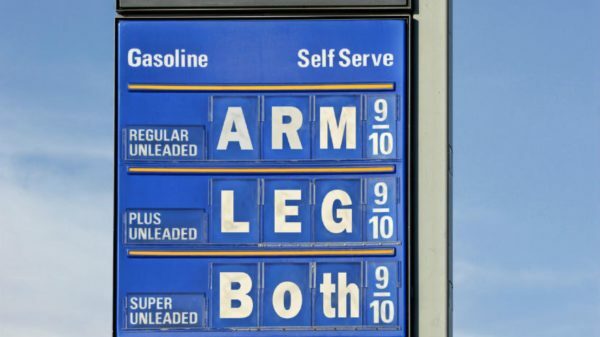 National average gasoline prices today are bumping up against $3 per gallon and could hit $4 per gallon on the West Coast. At the same time, West Texas Intermediate crude oil went from less than $30 per barrel to more than $70 per barrel today. Higher oil prices might be good for Texas oil companies, but if they spike too high too fast, they can be hard for industry to accommodate and will make all of our lives much more expensive, especially during the summer drive season. However, with the right combination of technologies and policies that emphasize efficiency, we can protect ourselves from price volatility while reaping the benefits of this most recent oil boom. For states like Texas, market forces mean higher prices will trigger more oil production, which means more jobs. But this time, a rise in employment might be lower because many oilfield workers who lost their jobs a few years ago when oil prices collapsed might not go back. At the same time, the oil and gas industry has invested in automation, so not as many people are needed. It all means the economic shot in the arm that usually accompanies a price spike, blunting the drag of higher prices on the economy, might not be as effective as before. There are also the confounding effects from the Trump administration’s changes to domestic and trade policies. Even if oil company employment did increase because of higher prices, travel bans and immigration constraints will make it harder for global oil companies to fill their rosters. A trade war might make our crude oil and refined products less desirable to global customers. Steel tariffs raise costs for producers who need the material for drilling activity and building their pipelines, which makes it harder to get oil out of the ground or move it to market. Those policies create headwinds for bouncing back from several years of low prices. After oil prices increased for several years in a row in the early 2000s, the George W. Bush administration signed into law stricter fuel economy standards after two decades of stagnant requirements. After gasoline exceeded $4 per gallon in 2008, helping to trigger the Great Recession, the Obama administration tightened fuel economy standards even further, with the hope that they would reduce oil imports, reduce CO2 emissions, and most importantly, protect consumers from the economic shock of price spikes. Today, many people cheer the recent tax cuts, but for some, the benefits of the tax cuts have already been wiped out by higher gasoline prices. That means energy policy is undermining our tax policy. But all of these are problems that can be solved. Rather than picking trade fights, raising the costs on critical materials such as steel for oil producers, making it harder for companies to hire the world’s best talent, and rescinding policies that use efficiency to protect consumers from high prices, we need to double down on the bipartisan approaches developed over many years to manage the challenges of our oil-dependent society. We need to push for tighter fuel economy standards and invest aggressively in research and development to bring down the costs of cleaner, more efficient transportation options such as hybrids, electric vehicles and natural gas vehicles. We need to invest in wider use of mobility services, micro-transit, mass transit and point-to-point transit to reduce congestion on the roads. We need to better promote flexible work schedules, bike lanes and incentives so employees can work from home some days or ride and bike to their jobs. And we need to move away from trade wars and toward open markets for labor, capital, goods and services. Through bipartisan action, our energy situation is much better today than it was for nearly 40 years after the energy crises of the 1970s. We produce more, import less, consume less per person and emit less CO2 per unit of energy. These are all positive trends, but the recent rise in gasoline prices is a reminder that our energy problems are just one geopolitical crisis away and that bad policies at home can erase a lot of progress. Michael E. Webber is the deputy director of the Energy Institute and a professor of mechanical engineering at The University of Texas at Austin. A version of this op-ed appeared in the Dallas Morning News, Mcallen Monitor, Waco Tribune Herald, and the Houston Chronicle.